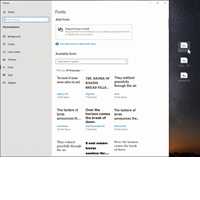 Explore the new features—install the most recent Windows 10 Insider Preview Build. Project your Android phone screen on your PC. Get things done faster on your phone apps with your keyboard and mouse. 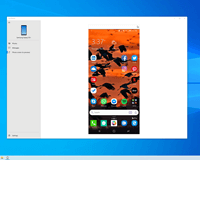 Use the new phone screen feature on Your Phone app to mirror your Android phone’s screen directly on your PC. 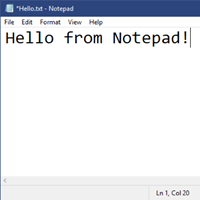 Launch an app or script in Windows Sandbox. New Chrome extension for Timeline. Get quick access to the apps that you use the most in Search. 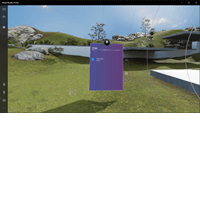 Run Desktop apps in Windows Mixed Reality. Extended dark mode for Mail and Calendar. 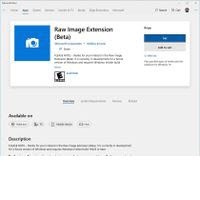 More support for Raw image files from your camera. An even better light theme. An easier way to install new fonts in Settings. 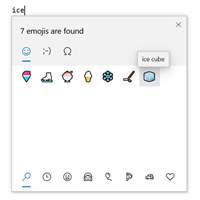 An easier way to get Insider Preview builds. 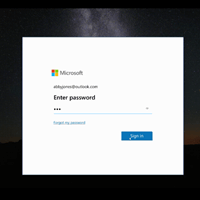 Sign in to Windows with password-less Microsoft accounts. 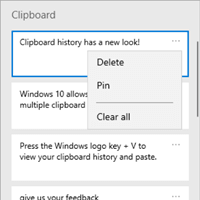 See more entries in your clipboard history. 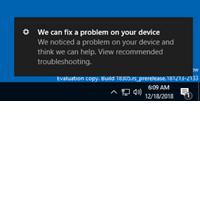 Keep your device running smoothly with recommended troubleshooting. 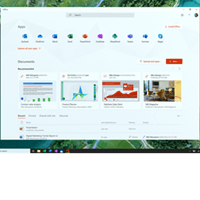 Say hello to the new Office app for Windows 10. Get more done with Cortana and Microsoft To-Do. 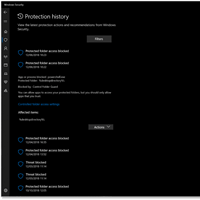 Tamper Protection in Windows Defender Antivirus. Snip & Sketch screenshot improvements. 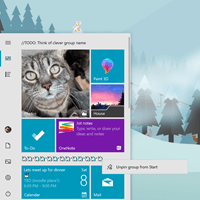 Quick unpin for groups and folders in Start. 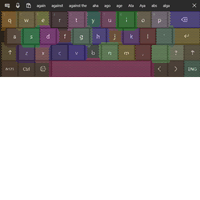 Type faster with more accuracy on the touch keyboard. New tools for submitting feedback. New gallery experience in Game bar. Sync your clock with our time server. 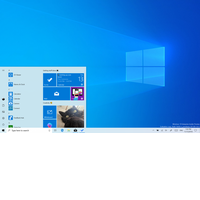 A smarter Windows Update experience. 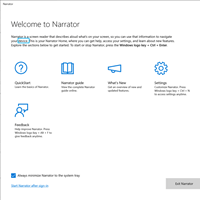 A more consistent reading experience in Narrator. Less interruptions while you're in full screen mode. 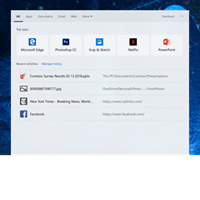 Fine tune your display brightness in Action Center. More language support for SwiftKey’s Typing Intelligence. We've included options to add a border to screenshots and print them directly from the app. Dark Mode for Sticky Notes. 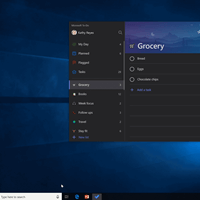 Along with full Dark Mode support, this new version of the Sticky Note app also supports Windows Dark Mode. 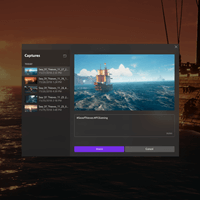 Find things faster on your PC. 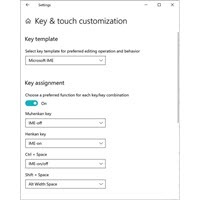 More symbols are available on the touch keyboard. Uninstall option for more apps in the Start menu. Sync your Sticky Notes across devices. Capture more kinds of screenshots. 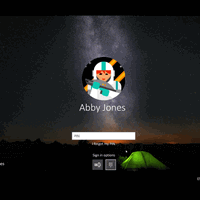 A new sign-in screen design. 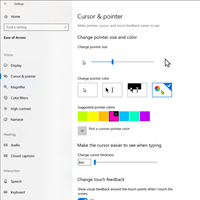 Handwriting support for Microsoft To-Do. 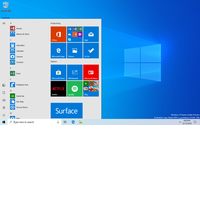 Go here for instructions on how to find out which Windows 10 Insider Preview build you have installed. 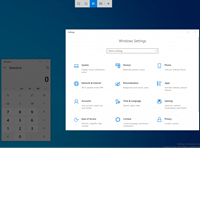 Windows Insider Preview may be substantially modified before it’s commercially released. Microsoft makes no warranties, express or implied, with respect to the information provided here. 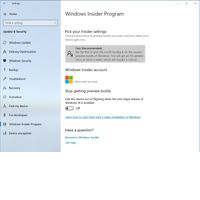 Some product features and functionality may require additional hardware or software.To view Windows Insider settings, you must have administrator privileges on your PC. 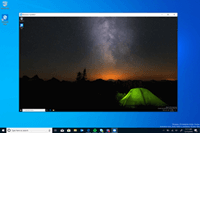 For PCs running early versions of Windows 10, go to Settings>Update and Security>Advanced Options>Get Insider Preview Builds.